As you turn on your furnace for the first time, you may notice a smell as the heat starts coming out. Most times that smell is the dust and lint that has built up over the summer months burning off in the unit. It sounds nasty and can be if this is a regular occurrence in your home every winter season. The best way to get rid of the dust in your unit is to have it cleaned at the beginning of the heating season. However, the smell could be caused by something else. Electrical malfunctions and debris from inside the duct could also cause a burning smell in the furnace. The only way to be sure is to have your yearly maintenance cleaning performed by a professional. Regular maintenance will not only help to eliminate potential odors from your unit but will also help to keep your unit running efficiently and safely. We have officially entered the fall season. The weather is changing as well as the color on the trees and it’s my favorite time of year. However it is also a time of year were many people while enjoying the fall colors forget about preparing for the winter just ahead. Suspicious Coupons may be a Scam! It seems like every time you check the mail there is a new coupon from some heating and cooling company offering their services at a discount rate. Right now the big service that is being pushed is air conditioner maintenance, and if you care about the condition of your air conditioner, odds are you have this service performed every year. The economy has everyone looking for ways to save, so those coupons are going to catch your attention. Illegitimate HVAC companies realize your need to save, and use it to their advantage. Don’t fall for their cheap tricks, and you will put your hard earned money to good use instead of wasting it on an air conditioner maintenance scam. Replace the Filter: The air filter for your air conditioner should be replaced regularly throughout the season. Start the season off right and replace this filter now to maintain indoor air quality and provide adequate airflow for the cooling system. If you have been looking into getting the air conditioner cleaned and maintained for the season, you have probably gotten many mixed messages during your searches on the internet. 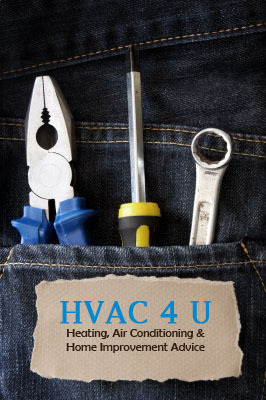 Of course the HVAC contractors are going to tell you that their service is valuable, but is there truth to their claims? Some may try to convince you that this service is a waste of your hard earned money, but don’t take them at their word! If you were to take a peek at their cooling bills or at their air conditioner, you would probably find a system that is falling apart and a utility bill that is sky high! With the weather turning warmer and people moving back outside it sure feels like spring is in the air. So when should you remove your air conditioner cover and get ready for the first hot day? I know no one wants to hear this but we still have a few weeks of winter left. Although this past winter has been pretty mild, in the past we have had snow as late as May, and it is not uncommon for a heavy snow storm to hit the Chicagoland area in March. With this possibility looming in the forecast, maybe it is too early to uncover the air conditioner and get it set up for the summer. Instead of rushing outside to take the cover off, give the air conditioner a few more weeks of protection from the potential threats of winter. By the end of March or early April, the weather should have improved enough to take the cover off. During this time, however, you should call up your local heating and cooling contractor to schedule your yearly maintenance check. Sure they may not be able to come out until the end of March or early April but the earlier you call the better scheduling options you will have. The yearly cleaning is the best way to get the unit set up and ready for the summer season, but waiting to schedule could leave you with an air conditioner that is not ready when you need it most. These few simple steps will get you ready for another hot humid Chicago summer that is sure to be right around the corner.